Well if we aren’t praying for the others healing then why do we pray? My grandmother, use to say “If I don’t know what a person needs then I just say they are standing in the need of prayer”. This is a great revelation today, because what are we praying for if they have not confessed that? The confession should be to me, you, us what their wrong is, and what did you do to bring yourself to this p…lace? I in turn share my wrongs with the heart of bringing us both to healing through prayer to the Most High Yah. Why are we so closed mouth about it? Ladies and Gentlemen, Lies do not get us to this point; and neither does omission–nothing but the truth can heal. Today: Are you ready for truth and healing? 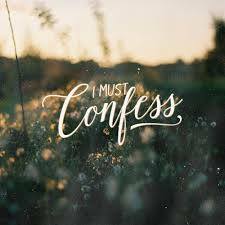 Then confess yourself. This entry was posted in Uncategorized and tagged BIBLE, Bible Study, Yahuah. Bookmark the permalink.